ISO Workshop 8.3 + Portable | 4.2/3.5 Mb ISO Workshop is a free application designed to facilitate disc image management, conversion and burning operations. ISO Workshop 8.1 + Portable | 4.1/3.5 Mb ISO Workshop is a free application designed to facilitate disc image management, conversion and burning operations. 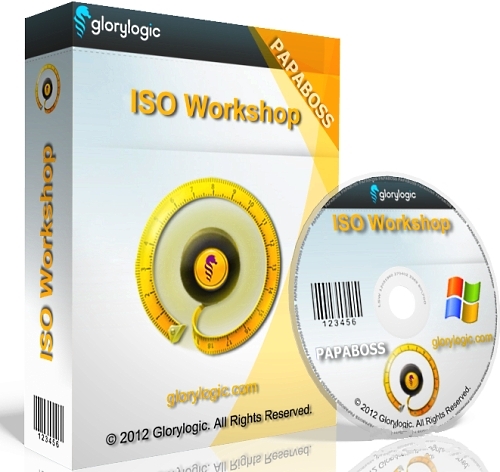 ISO Workshop 8.0 + Portable | 4.0/3.4 Mb ISO Workshop is a free application designed to facilitate disc image management, conversion and burning operations. ISO Workshop 7.9 + Portable | 4.0/3.4 Mb ISO Workshop is a free application designed to facilitate disc image management, conversion and burning operations. ISO Workshop 7.8 + Portable | 4.0/3.4 Mb ISO Workshop is a free application designed to facilitate disc image management, conversion and burning operations.